GIFT is a financial centre almost entirely devoid of bankers and, indeed, of people, finds Rahul Jacob. Image: Lobby of Tower 1 featured an "Experience Zone" with unmanned stalls featuring promotions for companies like ILFS and Tata Communications. Gujarat has many under-appreciated tourist attractions. Among them is the stunning Laxmi Vilas Palace in Vadodara, much bigger than Buckingham Palace, the step-wells in Patan and the desert expanses of Kutch, overshadowed completely by Rajasthan. 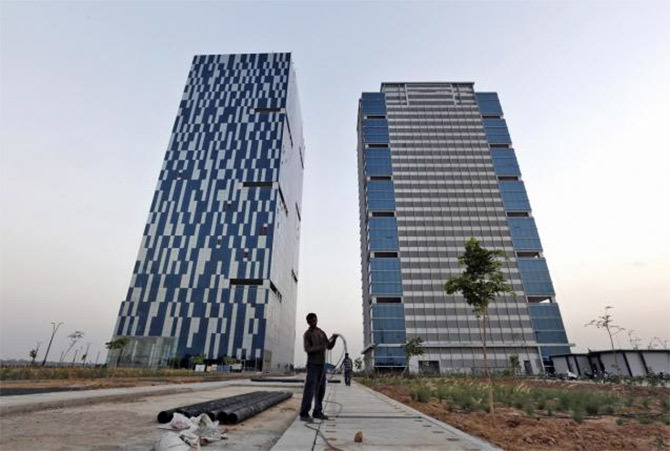 In its way, the Gujarat International Finance Tec-City, or GIFT, is an undiscovered 21st century marvel. Unlike densely-packed financial centres such as Manhattan, downtown Hong Kong and London's Canary Wharf, GIFT is a financial centre almost entirely devoid of bankers and, indeed, of people. As you drive towards its arresting twin towers, you realise you are visiting something unheard of in India: a deserted city. On the day I visited a couple of months ago, there were scarcely 20 cars in the car park. The lobby of Tower 1 featured an "Experience Zone" with unmanned stalls featuring promotions for the services of companies like ILFS and Tata Communications. Another sign offered a "welcome to a new era of ATMs" and a fourth promoted GIFT smart tags, a kind of smart card that can be used as a debit card, a building access card, and to pay for petrol. The busiest floor in Tower 1 turned out to be exactly like large offices in Mumbai or New Delhi on a public holiday, i.e. employees were few and far between. The tenants include Bank of Baroda, Syndicate Bank and ncode, which offers data services security. The anomalies extend to GIFT's curious name. The overawed visitor must puzzle over what is "international" about these swank twin towers and what "tec" could mean in this context - leave alone whether a few hundred people constitute a city. 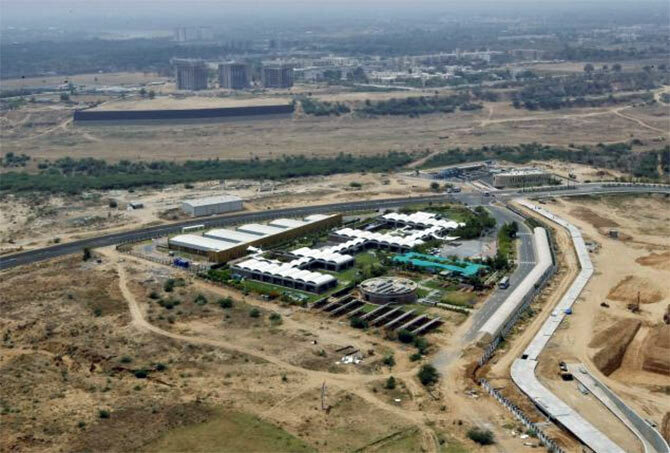 Image: Gujarat International Finance Tec-City spread across 880-acres. When I visited at the beginning of summer, the skyscraper that is Tower 1, with 30,000 square feet per floor, housed all of 400 people. 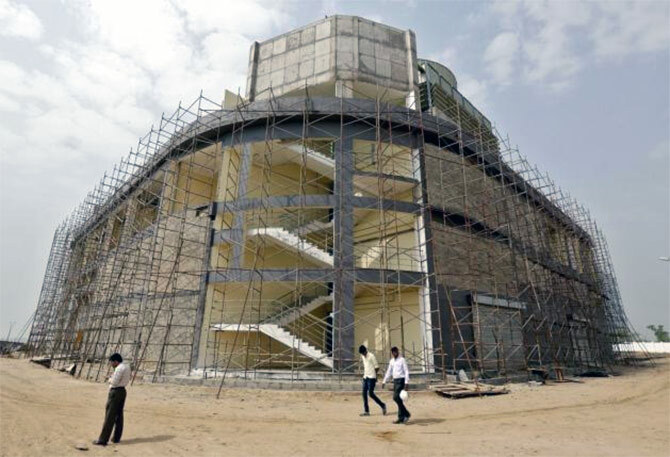 Thus far, the most international aspect of the approximately 880-acre Gujarat International Finance Tec-City is not its high-falutin derivative contracts, but what I was reliably informed were garbage chutes seen for the "first time in India" where separated dry and wet garbage is sucked by a vacuum to a central disposal unit. Envac, the company providing this service, is Swedish. The air cooling is revolutionary, the know-how is from Dubai - but my visit to the centralised "district cooling" area was marred by an earthmover toppling over and damaging the staircase that led to this engineering sight to behold. "We are a smart city (that exists) actually on the ground, not on paper," a spokesman told me. This may not be an empty boast. What little we know of what will constitute a smart city is similar to many of the amenities GIFT enjoys: the electronic delivery of services and so-called intelligent handling of disposal of solid waste and water. Speaking at an event on smart cities of the future in New Delhi on Tuesday, Rahul Mehrotra, the acclaimed urban planning expert who teaches at Harvard University, began his presentation with several slides about GIFT, including a news story quoting GIFT's chief executive with the headline, "GIFT City will be like foreign territory. Mr Mehrotra declared unequivocally, "GIFT was the genesis for smart cities." As a news report in Business Standard reported earlier this month, given the relatively paltry sums to be spent on "smart cities", what is planned is actually a series of smart colonies across the country - in other words a concept not unlike enclaves such as GIFT. The centre and states together are expected to spend Rs 96,000 crore (Rs 960 billion) over five years for these pilot projects across 100 cities. 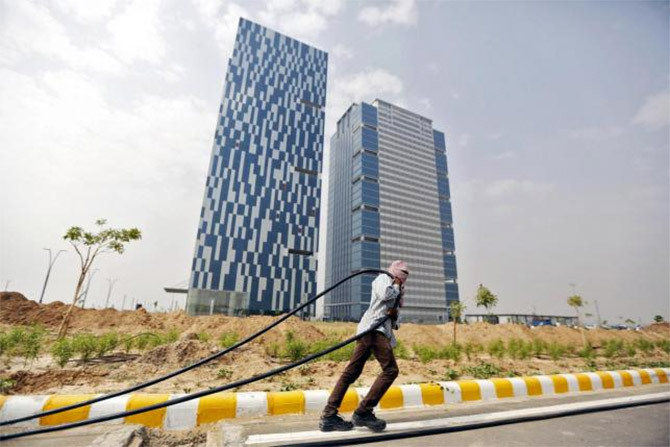 A US-India Business Council estimates that for 100 cities to be "smart", spending must be on the order of $1 trillion. Mr Mehrotra says that if India is to address its urbanisation challenge, it needs to look beyond its largest cities and instead at 393 cities "not on our radar", with populations of 400,000 to 1 million people. For its part, GIFT will likely remain a plush architectural model of a smart city for tourists to marvel at - unless through a regulatory sleight of hand it is allowed privileges in financial services denied to Mumbai. GIFT has no restaurants and, of course, in a state where alcohol cannot be consumed without a medical or a special tourist permit, no bars. 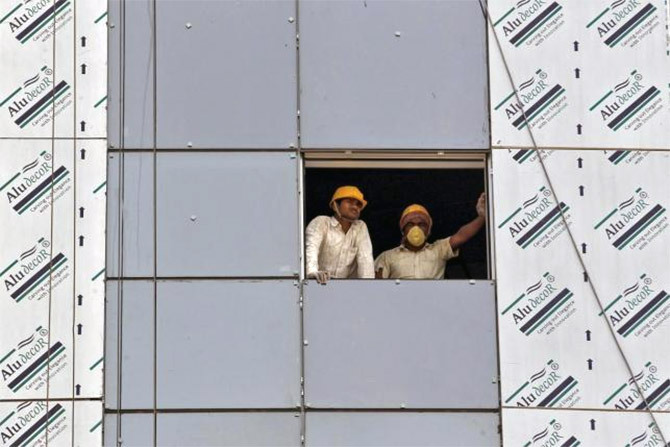 What it offers is low rents; but, as Sebastian Morris, a professor at the Indian Institute of Management in Ahmedabad points out, "Financial services can afford very high rents." Indeed, New York, London and Hong Kong have among the highest office rents in the world, but that does not deter them from being the premier financial centres they are. A high powered committee report laid out a detailed path for Mumbai to be an international finance centre of the future in 2007. It is not apparent the architects of GIFT read it. This week, Percy Mistry, who headed the committee, warned in the Indian Express that the "absurd actions" such as instituting a buffalo meat ban or a prohibition on meat sales on certain religious festivals by the Bharatiya Janata Party-Shiv Sena government in Maharashtra are turning Mumbai into a city that is "anything but global or cosmopolitan in its outlook. "Like the utterly fanciful claims for GIFT, dismantling the bulwarks of tolerance in Mumbai, India's only financial centre, must count as the very opposite of smart.